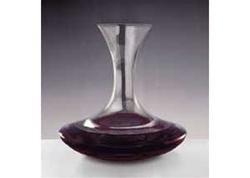 Master decanter with punt at bottom center allows wine to splay when pouring into decanter. Holds 40 oz. at 10"H×8½"W. Gift boxed.